Toyota’s new plug-in hybrid Prius will go on sale in January in Japan and is expected to launch in Europe around the same time. At present this model is only available on a lease basis to organizations and public bodies there. 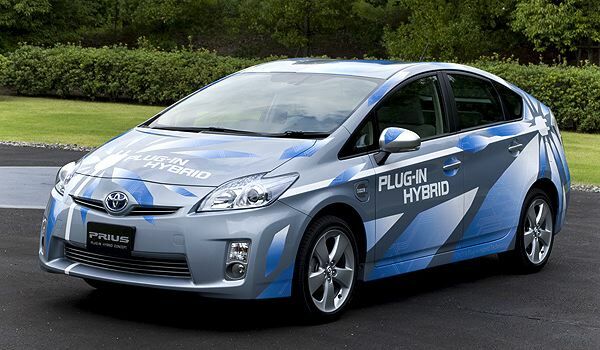 In addition, Toyota will be setting up charging stations at 5,500 of its dealerships and car rental locations. Customers who join its subscription program will be able to drop in for a free charge. Toyota is expected to price the Prius Plug-in Hybrid (PHV) at around the 3 million Yen mark and is expecting to sell about 50,000 of this model each year. For distances under 20KM, the plug-in Prius can run on electric power alone, just like a standard EV, such as the Nissan Leaf. However, after this point it will switch to being a regular hybrid, recharging the battery and balancing its use of power between the electric and ICE power sources.